On 12 October, the regulation establishing the European Public Prosecutor’s Office (EPPO) was adopted by those member states which are part of the EPPO enhanced cooperation. The EPPO will be in charge of investigating, prosecuting and bringing to justice the perpetrators of offences against the Union’s financial interests. It will bring together European and national law-enforcement efforts to counter EU fraud. The EPPO central office will be based in Luxembourg. 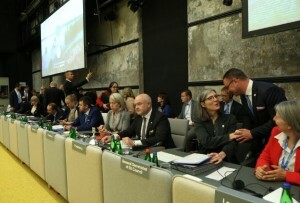 The date on which the EPPO will assume its investigative and prosecutorial tasks will be set by the Commission on the basis of a proposal from the European Chief Prosecutor once the EPPO has been set up. This date will not be earlier than three years after the entry into force of this regulation. So far, 20 member states have joined the enhanced cooperation: Austria, Belgium, Bulgaria, Croatia, Cyprus, Czech Republic, Estonia, Germany, Greece, Spain, Finland, France, Italy, Latvia, Lithuania, Luxembourg, Portugal, Romania, Slovenia and Slovakia.